The goal of the Advanced Medical Aesthetics Certificate is to provide physicians, registered nurses, nurse practitioners, registered practical nurses, midwives, and dentist with the necessary skills to function with confidence in a health care setting, medical aesthetic spa settings or private practice. 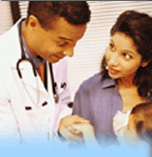 This course is restricted to nurses, physicians, midwives and dentist only. Nurses in Ontario must be members of RNAO or NPAO and RPNAO and have the hepatitis B vaccine. The course focuses on the theoretical and practical aspects of the use of Botox, dermal fillers, chemical peels, microdermabrasion and cosmetic laser light therapies found in the medical spa environment. The courses may be taken in individually units or as a completed as a full package. To qualify for the Advanced medical aesthetics certificate you must complete and pass all segments of the course which includes: Botox and Dermal filler certification, cosmetic laser and intense pulse light IPL laser, chemical peels, and microdermabrasion. This comprehensive physician led 1-day hands on course in both Botox cosmetics and Botox therapeutics. Participants will go over facial muscles anatomy, injection techniques, patient examination and facial analysis and treatment of complications. 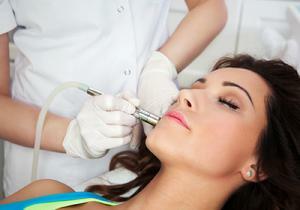 Botox dilution methods, preparation and storage will also be covered. Participants will receive a certificate upon successful completion of the training in Botox Certification course. This comprehensive1day course provides extensive and hands on laser training including all necessary medical grounds to safely and effectively perform laser and the use of using the intense pulse light laser system-IPL as a treatment tool in treating various hair and skin disorders including skin rejuvenation, laser hair removal, pigmented lesions, vascular treatments and acne treatment. This cosmetic laser course is ideal for those who want to incorporate cosmetic laser therapy in their practice. This extensive 1 day hands on laser training includes all necessary medical grounds to safely and effectively perform laser and the use of the intense pulse light laser system - IPL as a treatment tool in treating various hair and skin disorders. The student will learn and gain hands on experience in operating the IPL laser machine safely when performing various skin care treatments. This course is restricted to medical personnel only including: registered nurses, practical nurses, physicians and physician assistants who are interested in learning about lasers and using intense pulse light laser - IPL laser as a treatment tool in their skin care practice. This is a comprehensive physician led hands-on 1-day training course for dermal filler. The training will cover major dermal fillers currently in use such as Restylane, Perlane, Juvederm, Emervel, Ravenesse and Teosyal. Special emphasis will be placed on precise injection techniques, facial anatomy, facial nerve block for dermal filler, patient selection and examination, treatment of complications and contraindication, pain control / nerve block techniques for dermal filler injection, and preparation and storage of dermal fillers. 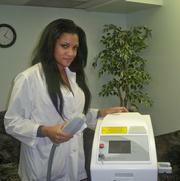 Upon successful completion of this training participants will receive the dermal filler certification. This course is restricted to Registered Nurses, Nurse Practitioner, Registered Practical Nurses, Physician, Midwives, Physician Assistant, and Dentist. This course comprises a comprehensive 1 day hands-on training. Skin anatomy and disease will be discussed in detail. Participants will gain knowledge of procedures and protocols for skin preparation prior to chemical peeling and microdermabrasion. Participants will also learn how to examine and treat different skin types and color using microdermabrasion and chemical peels. Skin classification including Fitzpatrick, Glogau’s classification for photo damage skin All main chemical peel commonly use in clinical and aesthetic medical procedures such as, Glycolic Acid, Salicylic Acids will be covered in the course. Participants will receive a certificate in chemical peels and microdermabrasion upon successful completion of the training. Courses can be taken individually or in combination. To register by phone or in person please contact us at 905-452-8139. To register in next session please contact us regarding acceptance in the program. After acceptance you may pay $500 registration fee, the balance of tuition fee will be paid 1 week prior to start date. Please note text books, and student kit is not included in the tuition fee.